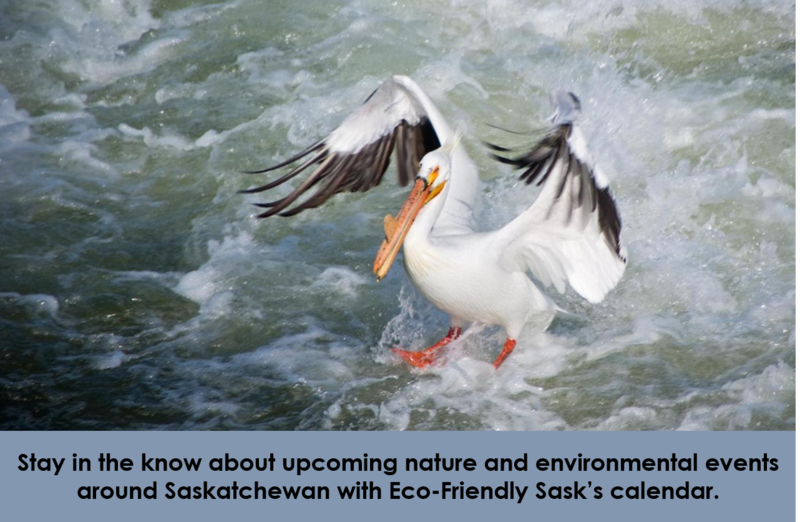 EcoFriendly Sask updates this calendar to promote nature and environmental events around Saskatchewan, including SaskOutdoors events. If you have an event you would like to include in the calendar, you can email EcoFriendly Sask at . For more information on EcoFriendly Sask, visit their website.